Scrap car and metal collection in Nottingham East Midlands ¦ Instant quote, Instant Payment. Environmental. Auto Solutions 2000 is committed to operating a modern professional facility to help minimise the environmental impact of the two million cars that are scrapped each year in the UK. We have invested heavily in modern facilities and has qualified for status as an Authorised Treatment Facility (ATF) from the Department of the Environment. These facilities include de-pollution areas, fluid storage and containment systems, purpose built facilities for maintaining targets required by the Environmental Agency and the Government in line with 2010 legislation. Auto Solutions 2000 has state-of-the-art de-pollution, vehicle handling and equipment. We are recognised by the Department of the Environment and we are on the Public Register of Authorised Treatment Facilities (ATF). Vehicles entering our "end of life" handling process are subjected several stages of treatment aimed at maximising the recycling potential limiting the environmental impact. Auto Solutions 2000 are part of the Car-take-back, Approved Treatment Facility (ATF) network which is now in place to deal with manufacturers’ vehicle de-pollution requirements. When you have the need to dispose of an end of life vehicle, we urge you to consider the environmental consequences and to select an Authorised Treatment Facility which is part of a system that enables compliance to the EU recycling targets. Always look for the Recycling Compliance Seal. "The EC ELV Directive aims to reduce the amount of waste from vehicles (cars and vans) when they are finally scrapped. In particular, it includes tightened environmental standards for vehicle treatment sites, requires that last owners must be able to dispose of their vehicles free of charge from 2007 sets rising reuse, recycling and recovery targets and restricts the use of hazardous substances in both new vehicles and replacement vehicle parts." Auto Solutions 2000 are committed to ensuring the company’s operations take into account all possible impacts on the environmental. The company will ensure that they undertake all the necessary activities accordingly. • Salvage and reuse materials where possible. • Purchase used materials where practical. 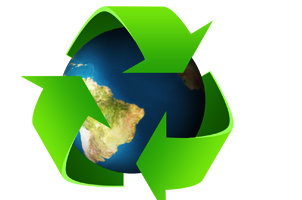 • Use raw materials in a manner that reduces waste. • Recycle waste when possible. • Store materials in a safe environment. • Dispose of unwanted materials in regulated sites. • Reduce energy usage by increasing energy efficiency. • Take steps to prevent oil and materials leakage. • Reduce movement of vehicles in order to minimise negative environmental impact. • Keep all the companies equipment serviced and well maintained. • Work closely with the environmental agency to ensure compliance with codes of practice at all times. Auto Solutions 2000 ensure that all employees and sub contractors are familiar and fully compliant with all aspects of the environmental policy.